Grannies Heilan Hame offers the following facilities. 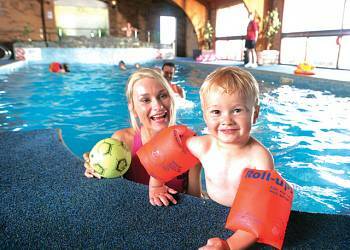 If you are looking to book a family holiday then Grannies Heilan Hame could be the perfect answer. 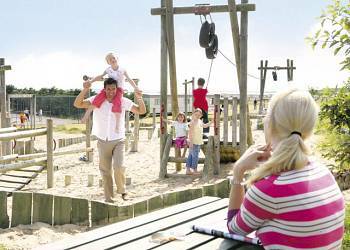 Grannies Heilan Hame has a children's play area which is ideal for kids to burn off excess energy and make friends with the other children enjoying their Highlands holiday. If you enjoy a game of tennis with friends, your partner or your family then the tennis courts located at Grannies Heilan Hame or near by could be ideal for an enjoyable game of Tennis. Enjoy a few hours in the games room at Grannies Heilan Hame. When you book check out what games are available in the games room to make sure that your favourite games are available. The games room is an ideal way to spend a few hours what ever the weather. There is a food shop at Grannies Heilan Hame. So there is no need to hunt for a shop in Embo or further afield around Sutherland for those daily essentials. Enviably situated on a beautiful beach commanding magnificent views of Ben Bhraggie and the Dornoch Firth Grannie's Heilan' Hame sits just 3 miles from charming Dornoch. An idyllic perfectly located base for exploring the breathtaking beauty and abundant activities of the Scottish Highlands. Maree  Three bedrooms  Sleeps 6–8  12ft-wide caravan with one double and two twin. Shower. DVD. Double glazed and centrally heated. Verandah with outdoor furniture. Kinord  Two bedrooms  Sleeps 4–6  New in 2016. 12ft-wide caravan with one double with ensuite bath and one twin. Bathroom with bath and shower. DVD. Double glazed and centrally heated. Verandah with outdoor furniture. Strathbeg  Two bedrooms  Sleeps 4–6  New in 2016. Caravan with one double and one twin. Shower. DVD. Double glazed and centrally heated. Morlich  Three bedrooms  Sleeps 6–8  New in 2017. 12ft-wide caravan with one double with ensuite WC and two twin. DVD and soundbar. Double glazed and centrally heated. Verandah with outdoor furniture. No pets. Arkaig  Three bedrooms  Sleeps 6–8  New in 2017. 12ft-wide caravan with one double and two twin. Double glazed and centrally heated. Arkaig WF  Two bedrooms  Sleeps 4–5  New in 2017. Caravan with two twin. Shower. Suitable for parties including visitors with partial disabilities – please check when booking. No pets. 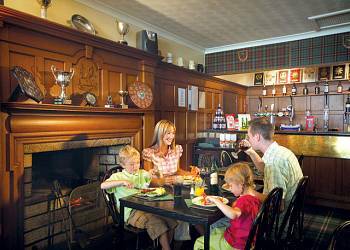 Dunvegan 2 Bed Lodge  Two bedrooms  Sleeps 4–6  Lodge with one double and one twin. DVD/CD. Dishwasher and washer/dryer. Double glazed and centrally heated. Verandah with outdoor furniture and sea views. No pets. 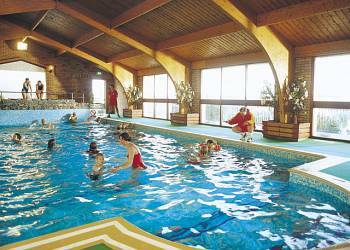 Embo View 2 Bed Lodge  Two bedrooms  Sleeps 4  Lodge with one double with ensuite and one twin. DVD/CD. Dishwasher and washer/dryer. Double glazed and centrally heated. Verandah with garden furniture and views of Embo beach and the Moray Firth. No pets. Morar  Three bedrooms  Sleeps 6–8  New in 2016. Caravan with one double and two twin. DVD/CD. Double glazed and centrally heated. Beautiful sea views. 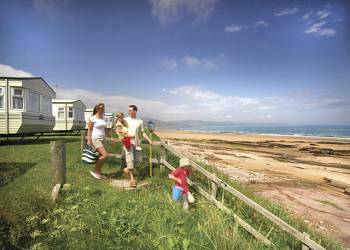 Shin  Four bedrooms  Sleeps 8  Caravan with one double and three twin. DVD. Double glazed and centrally heated. No pets. Leven  Two bedrooms  Sleeps 4–6  New in 2016. 12ft-wide caravan with one double and one twin. Bathroom with shower. DVD/CD/radio. Double glazed and centrally heated. Overlooking beach. 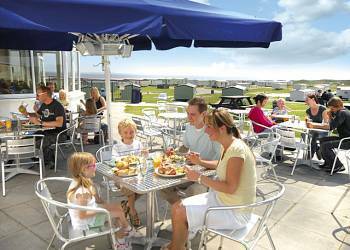 Some with sea views – please check when booking. Cromarty  Three bedrooms  Sleeps 6–8  12ft-wide caravan with one double and two twin. Heated throughout. Tarbet  Three bedrooms  Sleeps 6–8  12ft-wide caravan with one double and two twin. DVD/CD/radio. Double glazed and centrally heated. Onver  Two bedrooms  Sleeps 4–6  12ft-wide caravan with one double and one twin. Double glazed. Heated throughout. Lorne  Two bedrooms  Sleeps 4–6  12ft-wide caravan with one double and one twin. DVD/CD/radio. Double glazed and centrally heated. All with sea views. 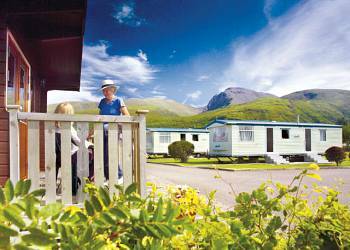 Linnhe  Three bedrooms  Sleeps 6–8  12ft-wide comfortable caravan with one double and two twin. Double glazed and centrally heated. DVD/CD. Verandah with garden furniture. Some with sea views – please check when booking. Pentland  Three bedrooms  Sleeps 6–8  12ft-wide caravan offering the very latest in comfort with central lounge. One double and two twin. DVD. Washer/dryer. Double glazed and centrally heated. Decking with outdoor furniture. Shiel  Two bedrooms  Sleeps 4–6  12ft-wide caravan with one double and one twin. DVD/CD. Double glazed and centrally heated. Lomond  Three bedrooms  Sleeps 6–8  12ft-wide caravan with one double and two twin. DVD/CD. Double glazed and centrally heated. Beach views. Shiel WF  Two bedrooms  Sleeps 4–5  12ft-wide caravan with two twins. DVD/CD. Shower with seat. Double glazed and centrally heated. Wider sliding doors and ramp access. Suitable for parties including visitors with partial disabilities – please check when booking. No pets. 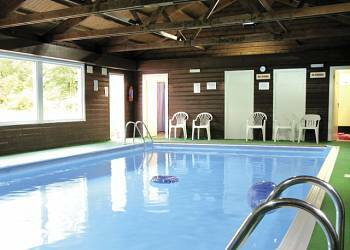 Ness  Two bedrooms  Sleeps 4–6  Caravan with one double and one twin. Double glazed and centrally heated. Fyne  Two bedrooms  Sleeps 4–6  12ft-wide caravan with one double and one twin. DVD/CD. Double glazed and centrally heated. 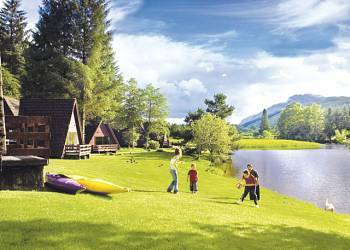 Dochart  Three bedrooms  Sleeps 6–8  12ft-wide caravan with one double and two twin. Double glazed and centrally heated. DVD/CD. Non smoking caravans available see please check when booking. We have 46 reviews for Grannies Heilan Hame. A random selection of 3 are shown for your information. Refresh the page to get another 3 reviews to show. A great park in a peaceful location with a variety of entertainment and activies. We holiday here every year and always have a fantastic time. Have you been to Grannies Heilan Hame? Please share your views with others who are considering staying at Grannies Heilan Hame so that they can benefit from your experience and get the best from their holidays. 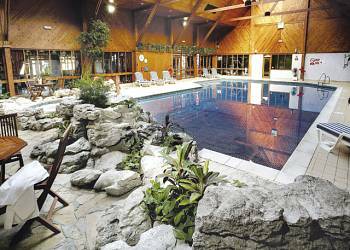 Direct beach accessMagnificent viewsIndoor heated swimming poolBasketball courtTennis courtsNature trailWalking and rambling available nearbyCharges may apply for some activities. Important note: Information provided here about Grannies Heilan Hame is based on our best knowledge. However, please check with Grannies Heilan Hame before booking to ensure that you have the information required. Reviews are the sole views of the contributor and do not necessarily represent the views of gocaravannung.com or Grannies Heilan Hame.